Every order includes full acceptance of our sales conditions. 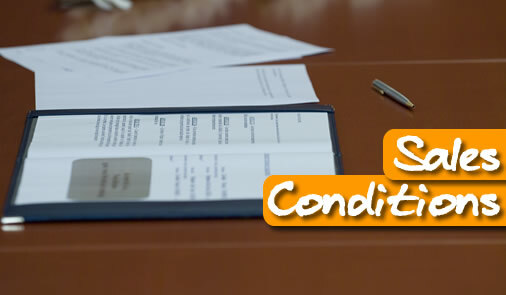 These conditions will prevail over any prior or subsequent documents. Goods are sold and delivered for the price valid at the time of confirmation of the order. They do not include packaging, freight, insurance, customs and sales tax. Deliveries are made by the means of transport most appropriate. Upon receipt of the goods, the customer must make all demands in the event of damage or missing objects in the order to preserve his rights. The society Prunier can not be held liable for delivery and shipping damages. According to the French law of May 12, 1980 the transfer of property is deferred until full payment. Pour toute première affaire le paiement sera effectué contre remboursement. All orders below € 200 (excluding tax) are payable upon receipt of invoice. For orders over € 200 (excluding tax), the payment must be made by check or bank transfer within 30 days. Tout retard de paiement dans les conditions convenues, entraîne le versement d’un intérêt au taux légal majoré de 50% sans préjudice de tous autres dommages et intérêts et frais. Our equipment is guaranteed for 1 year against any manufacturing defect. Excluded from our guarantee is deliberate damage and improper use. Prunier shall only be held liable for manufacturing defects, with any improper handling or use by the user or customer of the product being excluded. The guarantee shall be that established in accordance with current legislation. All replacements shall be invoiced and credited once Prunier examines and checks the defective parts. If a dispute shall arise between the purchaser and the vendor, an amicable settlement shall first be attempted. If the dispute cannot be settled in that way, only the Tribunal de Commerce de Bordeaux, France shall have jurisdiction.